Trimble Loadrite L3180 SmartScale is now an option on Doosan wheel loaders. Loadrite uses weighing intelligence and solid state sensors for loading, and connects machines and devices, and syncs data to InsightHQ reporting portal. According to the company, InsightHQ consolidates operational information from Trimble Loadrite devices on loaders, excavators, and conveyors across the site to provide productivity and performance reports. The system also features digital CAN-bus sensors for noise immunity and ground slope compensation. 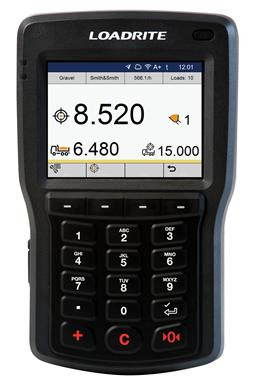 The L3180 now offers in-cab key performance indicators (KPIs), including ton/hour, tons, and truck count to enable operators to monitor performance. Onsite data is presented in dashboard or graphical formats, including a new loadout performance heatmap, powered by built-in GPS. The 5.7-inch touchscreen display also features colorful graphics, cleaner interface design, and faster navigation.